My kids love those red swirly peppermint candies that I use for peppermint bark every Christmas. What I don't love is the choking hazard they present. Enter my solution. 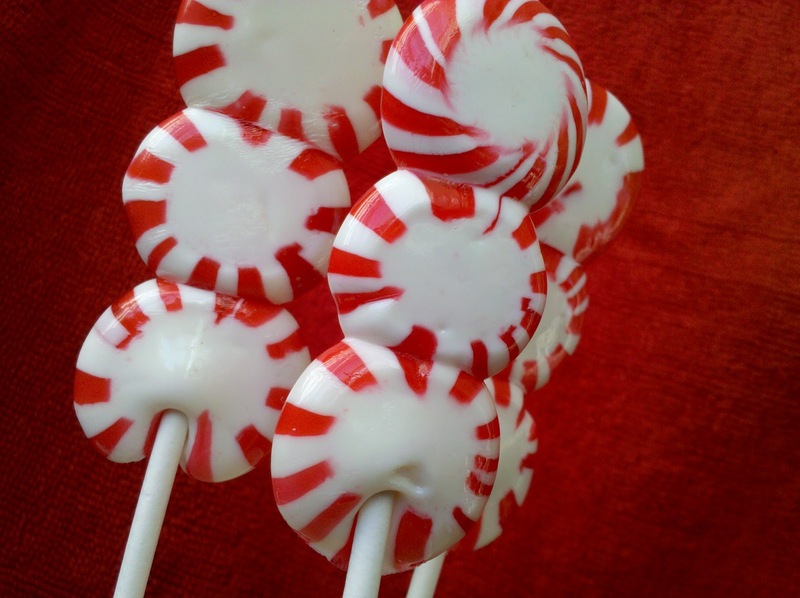 Melt them together to form a lollipop sweet treat! 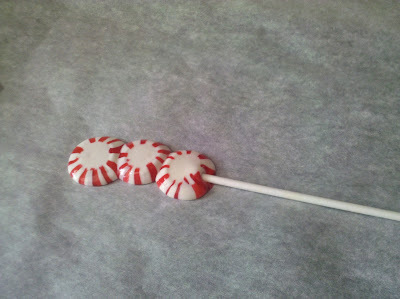 These peppermint candy lollipops are so simple and easy to make and the perfect addition to the holidays. 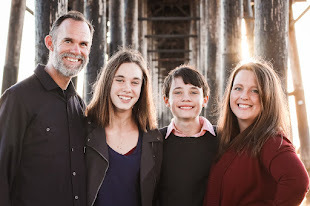 You can even enlist your child's help! 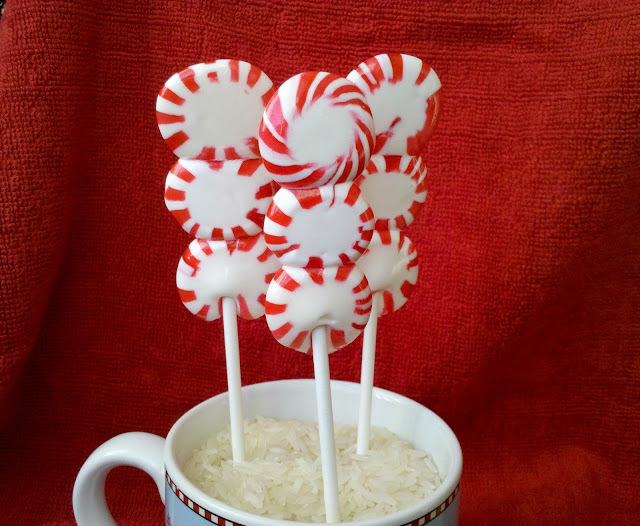 A bunch would make great teacher, neighbor and friend gifts or the perfect stirrer for that cup of hot cocoa or mocha coffee. Yum! Allow to set for 1-2 minutes. Tip: Use these adorable Free Christmas printable from Living Locurto along with your sweet treats! Enjoy your Peppermint Candy Lollipop! 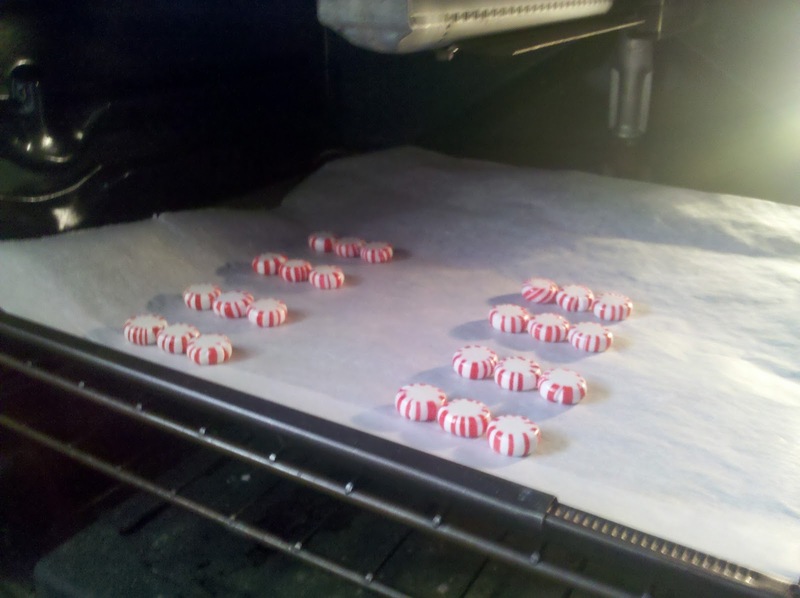 A special thank you to Smart and Final who provide with me with the funds to purchase the peppermint candies among other awesome goodies to for holiday baking...more to come soon! Very cute! And so simple. Thanks! You are so stinkin smart and creative, I love this!! what a great idea!!! Thanks!! I LOVE this idea! I even posted it on my facebook page, hope you don't mind. Great idea. The way they stack up makes them extra interesting, I think. that looks great! in some coffee or hot cocoa :) you're so creative! Thank you thank you so much for sharing this fun and easy idea. So great. Can you tell me how hot to the touch the candy gets? Is it an adult only project or can my 10 year old help with these? Amber, my 5 and 6 year old helped lay the candies out on the tray, an older child, like your 10 year old - can help push the lollipop stick into the candies. I never touched the candies until they were completely cooled. I used a hot pan holder to hold the tray still while I eased the sticks in. It only takes a few minutes for them to cool. When I tried to do more than 3-4 at a time, by the time I got to the 5th one, it had already hardened! What a fun idea, I know my kids would love to make these! oh my goodness. i love it. 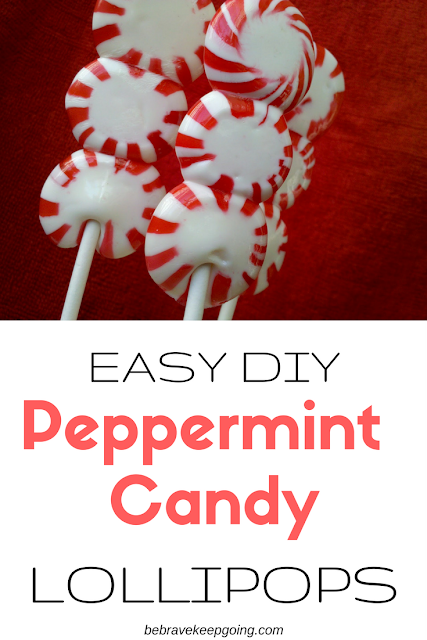 my kids LOVE LOVE LOVE lollipops and candy canes, so this is the perfect match! Thanks for the post. I will make these pronto! Oh, this is so clever!! What a fun stir stick for hot chocolate. I tried these several times and either over melted them, had them too close together or they dragged through each other. Any ideas what I am doing wrong? or set a timer for 5 minutes, and check them at 1 minute intervals to see if they are ready. and when I put them in the oven, I put them so close together, they were touching. i'm wondering if you've had luck with a specific brand of candies. the ones i'm trying to use flatten way out, and the red is separating from the white... they look like little suns! cute, but not the look i'm going for! I bought mine at Smart & Final (Smart Co.)here on the west coast and it helped to set the oven on a low temp first and increase if needed. This is such a cute idea!! 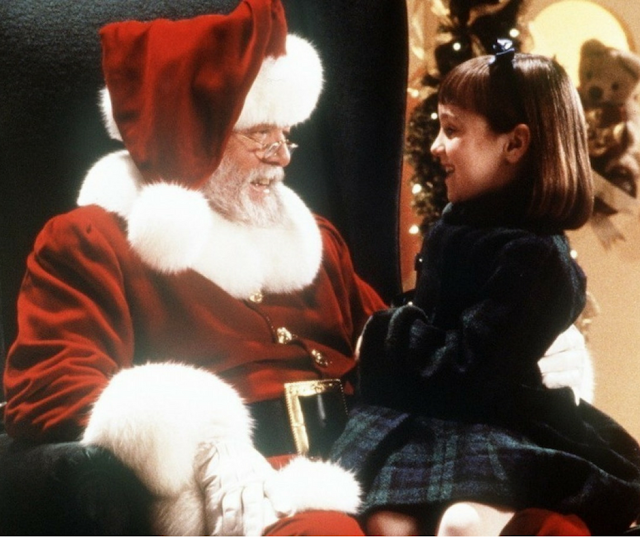 They would be perfect for the kid's Christmas party I am having on Thursday! Brilliant idea! And they look fantastic! ok, I made these and my kids LOVED them. I even sent them tucked inside Christmas cookie packages. These are great! Can't say enough about how fun they are. How did I miss these on the first go-round? Tsk tsk on me! Love the idea! Love this too cute. Now when I wrap these individually any suggestions on what type of wrap to use? Didn't want to use wax paper.